This panting will really grab you when you first see it. It is the biggest one in the series and has 25 bright red poppies in it! And like all of the others, it has its own story. When I was in Rockland I was very taken with a pretty town park by the edge of the sea and took pictures there three times. I watched these beautiful poppies open and expand and start to flop a bit during the time I was there. There was also a small gazebo. While I was there, I met a woman, an artist also, who arrived on a bike, and who maintained the garden. She said she was not part of a garden club, she just did it because she wanted to, including putting plants in and maintenance. This painting was not working until I put her in and later I realized why and the connection to Mom. Mom was above all, committed to people around her. 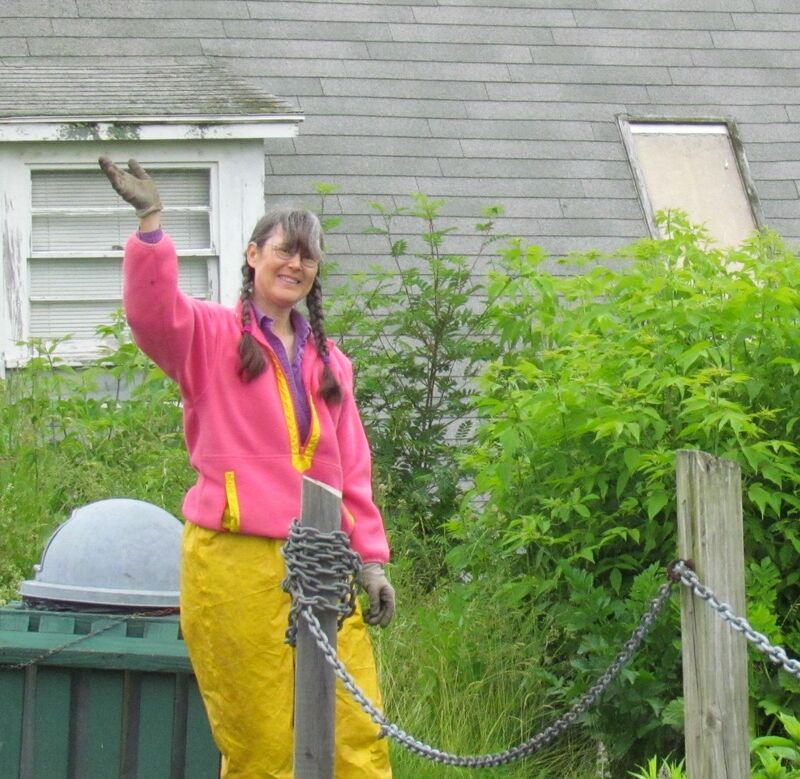 In each of her areas of connection, she had many friends and she was always contributing to some aspect of making her community better. 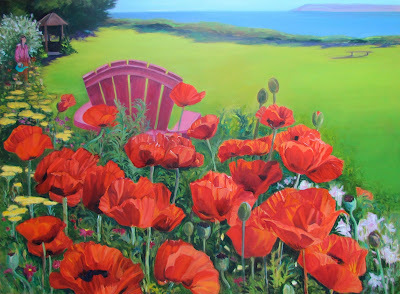 Not only is there a community of 25 poppies in this piece, but when I put the gardener in the piece came together. Its not about the poppies, its about community, another surprise. My art always knows where I am going and it always gets there first. My favourite so far! Gorgeous!